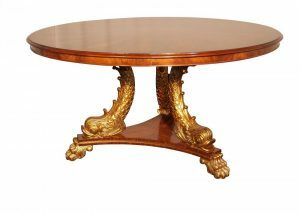 Beautiful regency style dining or centre table. Wonderful swirl santos veneer top. This entry was posted in Centre Table, Dining Furniture and tagged centre table, dining furniture by anti2365. Bookmark the permalink.